On my 1000th post here at Flea Market Funk, I wanted to give back to the readers a bit. 1000 posts is a huge milestone for me. If it wasn’t for you driving me to dig deeper for these records and write about the world of Funk, Soul, Jazz, Reggae and Hip Hop, well there wouldn’t be much of a purpose to have this site. Originally when I started writing about records I found, I wanted a funky vinyl site. A place where I could share digging stories and the records that were the fruits of my labor. I wasn’t trying to be elitist, or snobby, I just wanted to do something different that the next guy. There are a ton of people in this world that have better records than me. There are a lot of people that have more knowledge than me. I’ve never claimed that FMF was the end all, be all of record digging. I just saw it as an outlet for my Black Crack addiction, and a way to get this music out there. As it grew (and so did my subject matter), I realized that it turned into a community of like minded people, some whom I’ve become very close to. I’m proud at what this site has become, and am looking forward to taking it further as 2013 goes on. 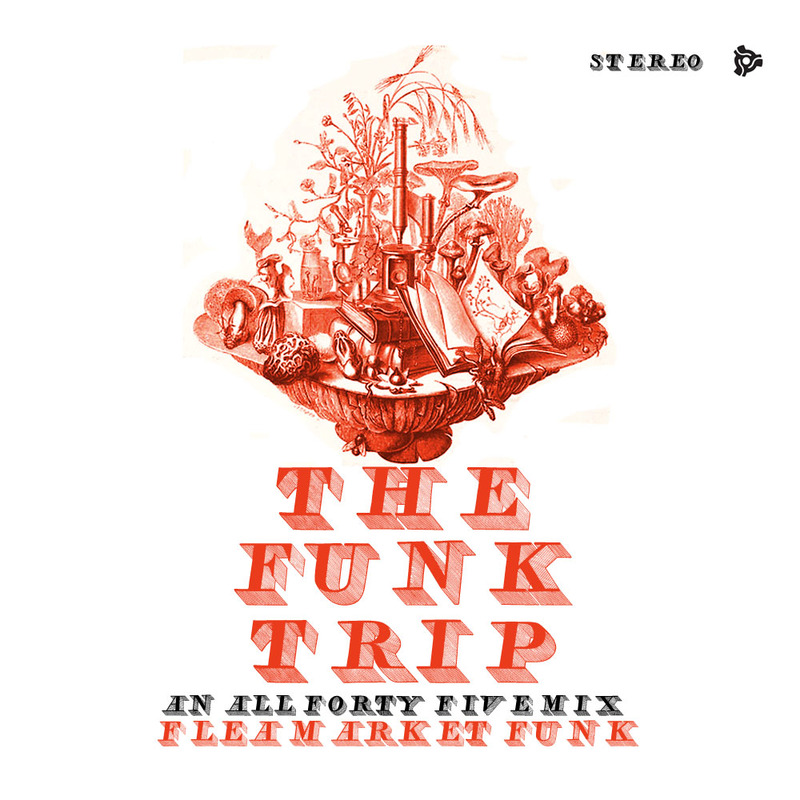 For today’s mix, the 48th here (well into the 60’s with the mixcloud stuff), I wanted to take you on a little Funk Trip. I don’t have so many Psych records, but I have included a few fuzzy Funk records as well as some newer Funk 45s that I have been digging and dug up as of late. These would include newer labels such as Colemine, Kept, Kay-Dee, Music With Soul, Funk Night Records, and Bloodshot mixed right along side older labels like today, Ebony Sounds, Mutt, Brownstone, RCA, Diamond Jim Recordings, Zodiac, and Hi. Some of this stuff you may be aware of, some of it you may not be aware of, but at the end of the mix, there are 14 strong 45s that are definitely Flea Market Funk approved. The mix was done live (as always), in one take, with a few goodies dropped in for fun. You may recognize the voice at the end, Diamond D, who had a nice little nugget of wisdom about digging. Thanks as always for the support, and please enjoy the mix. This is so good man! Love it!